BBC Radio 4 - Woman's Hour, Meghan Markle and Prince Harry engaged. Women and Addiction. Meghan Markle and Prince Harry engaged. Women and Addiction. What impact will Meghan Markle have on the royal ramily? Plus the women seeking treatment for their addictions and the growing trend of male makeup bloggers. 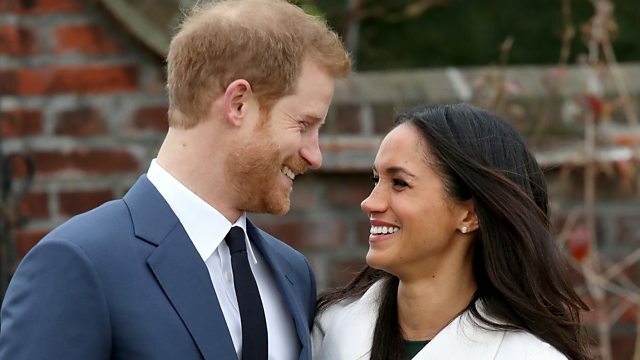 As Prince Harry and Meghan Markle prepare to get married next Spring we look at her role and the impact she'll have on the Royal Family. How do gender differences shape women's experience of and treatment for addiction? We'll be talking to three experts whose work in this field has convinced them that there needs to be more research into why addictions cause women so much harm. Fewer women are taking drugs but more are dying, why? How do mental illness, motherhood, intimate partner violence and stigma affect women's addiction?